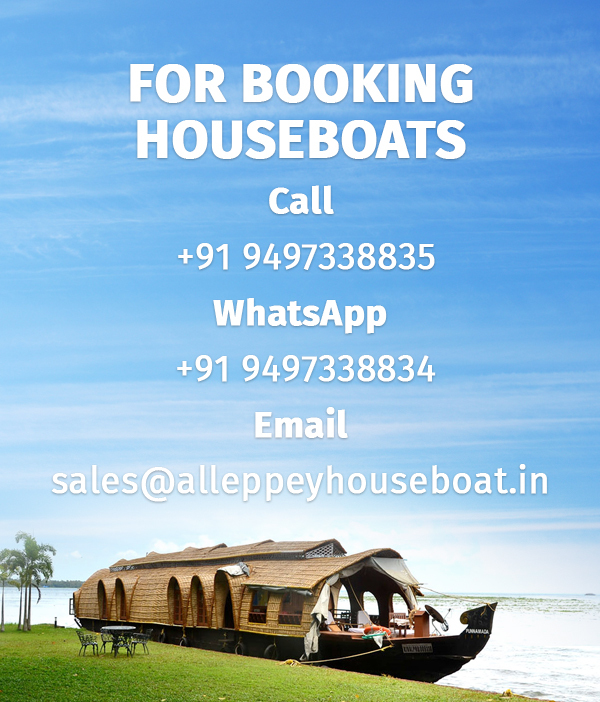 Shikara boats are one of the best option to choose for exploring the beauty of Alleppey (Alappuzha) & kumarakom backwaters in Kerala. We have shikara boats available which can accomodate minimum 2 persons and maximum 60 persons. Usually shikara boats are small boats for maximum 6 to 7 seats but we have a newly arrived boat available for cruise. Our new shikara boat can accommodate up to 60 persons in single boat. The boat includes toilet facility which is not included in most of the shikara boats. This boat includes a music system also. Please see this images of our new shikara boat with toilet. Note: Lunch not included in the pricing, Lunch available from the backwater village restaurants.